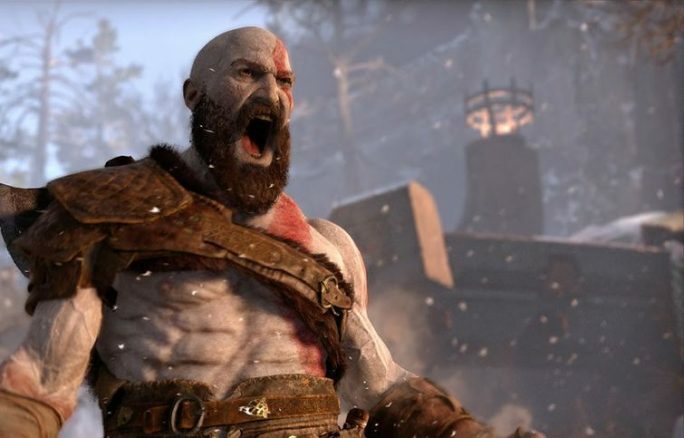 Well, it may not be accurate to define Kratos by his anger anymore, as the new trailer presents him as a man controlling his rage, exercising cold discipline over blinding fury. He’s trying to atone for his past deeds, rather than seek blame on those he holds responsible. It’s an interesting angle to take on the character, but there’s some glimpses of that old Kratos roar in the footage so we’ll have to wait and see how that pans out for him. But there are more little morsels unveiled in the trailer of a more sombre, human story underpinning God of War compared to the revenge quests of the earlier games. Kratos and his son, Atreus, are journeying to deliver the ashes of the boy’s mother to the resting place she requested, bonding and clashing along the way. It’s a huge tonal shift for the series, and it’ll be interesting to see how it pans out. Most importantly, however, is that the trailer establishes that in the world of God of War, the realms of Greek mythology (as in the franchise up until now) and Norse mythology are in the same universe. Or at least, Kratos has found a way to hop from the former to the latter, much like I hypothesised when rumours of a new God of War started circling. A woman says he’s from another “realm”, and we catch a glimpse of him seeing the scars under his armbands, presumably wounds from removing the Blades of Chaos from his flesh, and determinedly covering them back up. Hop into another realm and follow Tom on Twitter: @tomdheath. Don’t forget to follow LoadScreen on Twitter, @load_screen, and like on Facebook.